InTruBeauty: How to (fake) the no makeup look! Sometimes you want to rock the natural look and I'm all about that, but you still may not want to leave the house completely makeup free. You can actually apply makeup to hide some imperfections and to maximize your natural beauty while still appearing to not be wearing any makeup. I wore this out today and I was actually complimented on how flawless my skin looked. Another woman asked me if I was even wearing foundation or not. 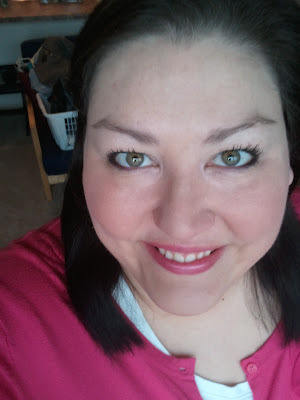 People will really notice your natural beauty and you can keep the secret to yourself that its been enhanced a bit! 1. Instead of your normal foundation, apply a BB Cream, Tinted Moisturizer, or Tinted Sunscreen instead. Taking good care of your skin is an essential precursor to this. 2. Apply a blush that is very close to your natural cheek color or just apply a very soft blush. One easy way to figure this out is to pinch your cheeks and pick a color that mirrors that normal blush color. I used the Body Shop Blush in 04 Golden Pink. 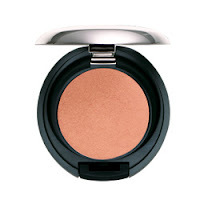 Try this blush or a Maybelline Bouncy Blush for a hint of color. 3. Apply a tinted lip balm, tinted chapstick or Revlon lip butter that best matches your natural lip color. I used Revlon Lip Butter in Berry Smoothie and I applied this very lightly. Try this or Burts Bees Tinted Lip Balm or Maybelline Baby Balm. 4. Apply just 1 coat of mascara. Try Rimmel Lash Accelerator or Tarte Lights Camera Lashes. 5. Line just the very outer top and bottom lash lines, ie the "V area" where the lash lines come together with a dark but flattering color to compliment your eye color. I used Urban Decay's Crash which is a deep plum. Try this or Stila Blue Ribbon (navy blue) or Urban Decay Rockstar (dark eggplant) or Underground (metallic taupe). 6. Optional: Using a fluffy powder brush, lightly sweep a light matte bronzer all over your face and neck area. Try: Too Faced Chocolate Soleil or NYC Sunny or Tarte Park Avenue Princess. 7. Wear a bright color that compliments your skin tone!